This shop has been compensated by Collective Bias, Inc. and its advertiser, Colgate-Palmolive. All opinions are mine alone. 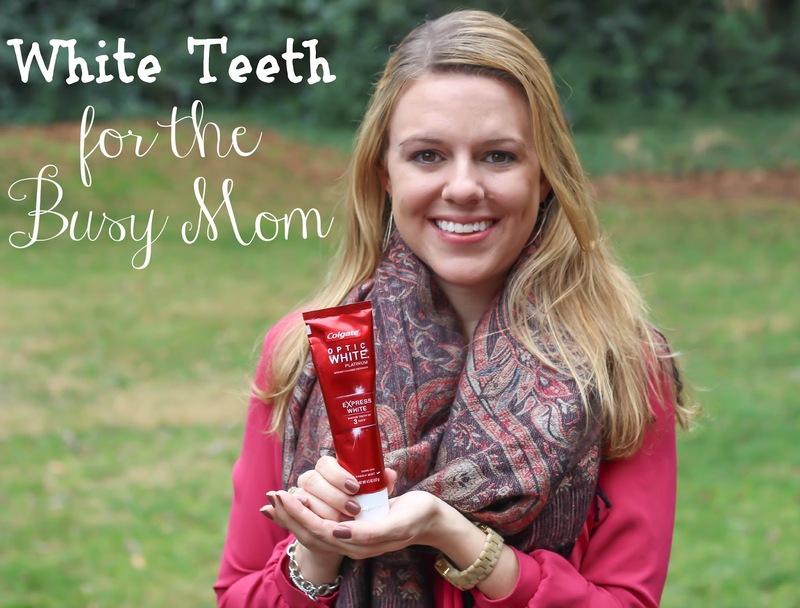 Moms – who has the time or money for professional teeth whitening? Okay really that’s a question I think a lot of women, not just moms, can relate to. What if I told you whiter teeth can be yours in just 3 days* simply by switching your toothpaste? It’s possible with Colgate® Optic White® Express White Toothpaste. And moms I know whiter teeth are just what you need to feel gorgeous when you’re covered in throw up, cookies and play dough. I have never been as blown away by a toothpaste as I am by this one. I’m one of those people that buys every single tooth whitening product on the market, only to never use them because I can’t find the time. 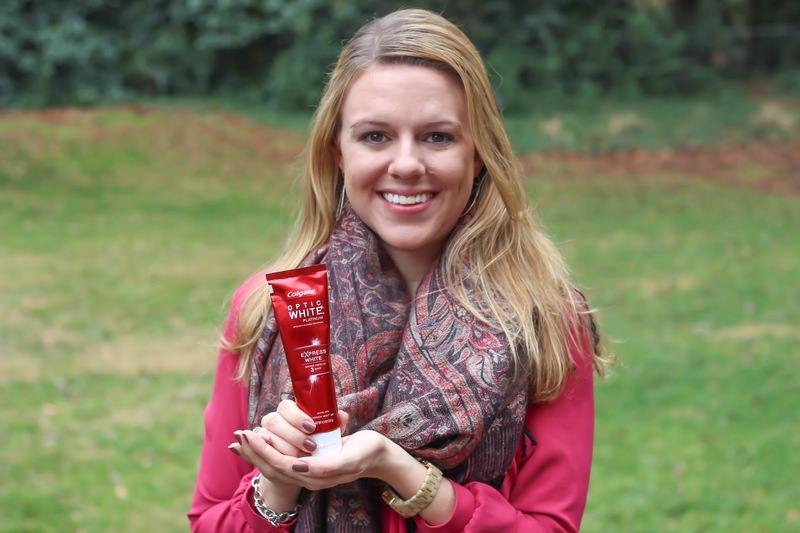 I’ve tried just about every other whitening toothpaste, and none have given me the results that Colgate® Optic White® Express White Toothpaste has. How does it deliver such results? Well, Colgate® Optic White® Express White Toothpaste has the professionally recommended ingredient hydrogen peroxide to whiten faster, and it has 2 times more of the professionally recommended whitening ingredient (vs. Optic White® Sparkling Mint Toothpaste). 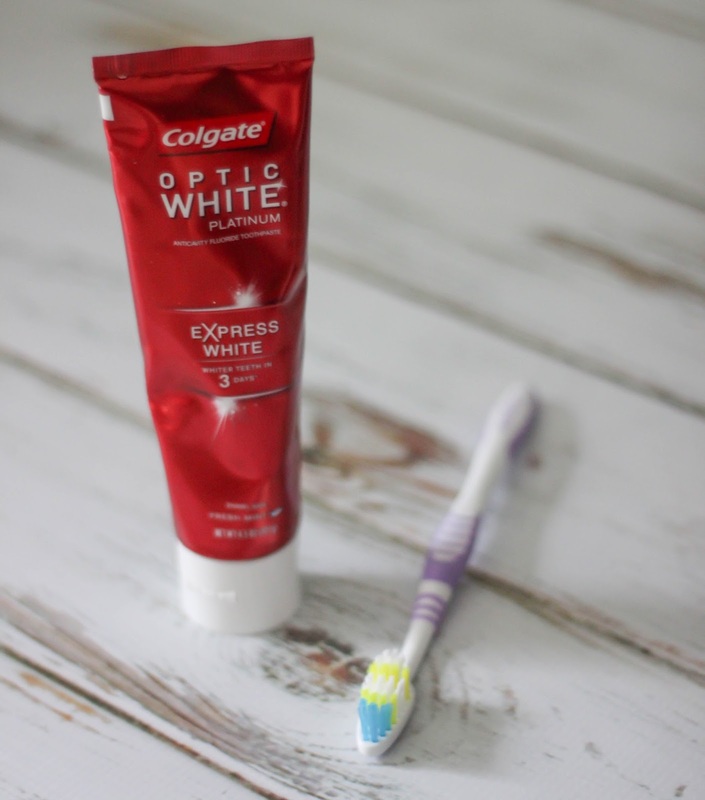 My routine is so much easier now that I’ve found Colgate® Optic White® Express White Toothpaste. It’s the only product I’m using now for teeth whitening. Between this, dry shampoo (check out my DIY dry shampoo post a few back) and my essential oil roller balls my beauty routine has been simplified and the most effective it’s ever been. These pictures don’t even do it justice. Even my husband has commented on how whiter my teeth look, and if he notices then it must be a big deal! I picked up my Colgate® Optic White® Express White Toothpaste at Walmart. 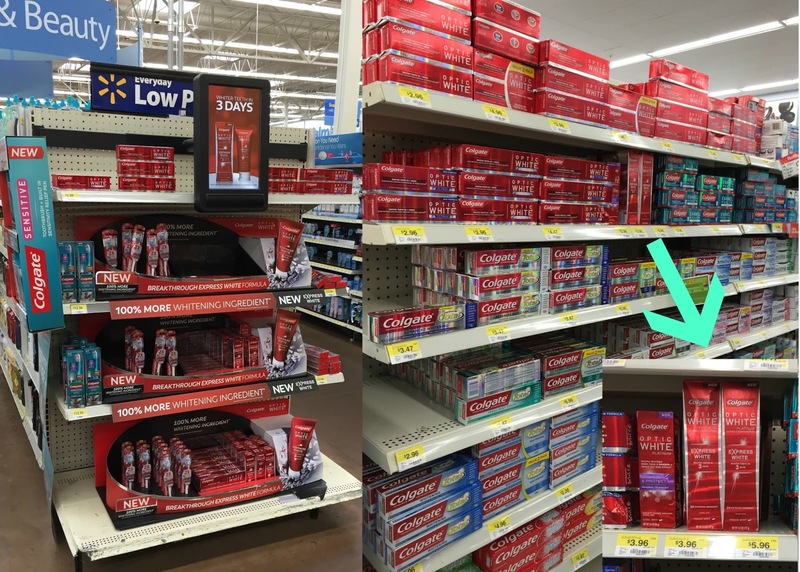 Lookout for the roaming demo in 550 select Walmart stores on 2/28/15, where ambassadors will be giving out $1 off coupons that are good on Colgate® Optic White® Express White Toothpaste. What ways have you simplified your beauty routine lately? This is definitely my favorite toothpaste! Whiter teeth in just 3-days is really awesome. Colgate is a great brand & we have been using their products for long & Optic White sounds like a great solution for White teeth. Thanks for sharing.